BEIJING—Chinese regulators are investigating Pinduoduo after media reports surfaced about third-party vendors selling counterfeit goods on its group-discounting marketplace. The probe exposes long-standing problem—Beijing’s hopes of upgrading consumption over the years has failed to materialize for large numbers of poor Chinese, despite a recent economic boom. The investigation comes just days after the Shanghai-based startup raised $1.63 billion in the year’s second-biggest U.S. listing by a Chinese firm, which valued Pinduoduo at $23.8 billion. China’s State Administration for Market Regulation said on its website that it will interview staff at the three-year-old firm and deal seriously with any illegal practices, such as failure to remove listings that feature counterfeit goods. Pinduoduo, in a statement on online news portal Netease, said it was working hard to crack down on counterfeits. “We did a lot of work, but are still far from meeting society’s expectations,” Pinduoduo said in the statement. 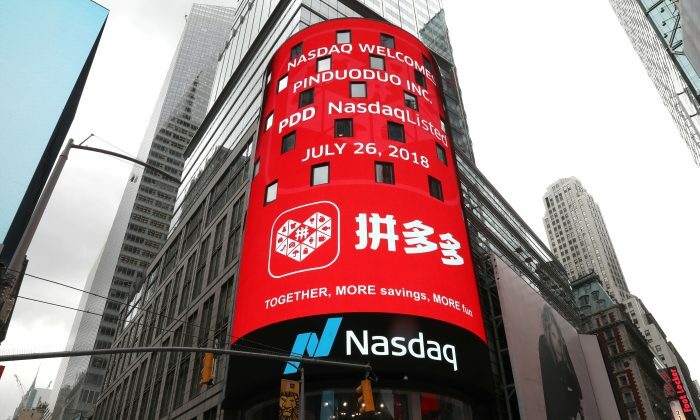 The probe is likely to affect investor expectations of Pinduoduo, whose shares have fallen about 14 percent since their July 27 debut, Beijing-based tech analyst Li Chengdong told Reuters. In recent years, China has been calling for “consumption upgrade”—an indirect way of reflecting the economic prowess of a nation, as its citizens have the purchasing power to spend more on quality goods. Many Chinese have indeed enjoyed a higher standard of living as the gross domestic product (GDP) has increased to $11.2 trillion in 2016 from $1.2 trillion in 2000, according to data from the World Bank. In March, Liu Weijun, deputy head of China’s Certification and Accreditation Administration, said the administration was rolling out a quality certification program for high-end products and services, in an effort to spark consumption, according to state-run newspaper China Daily. The products to be certified include organic foods, smart home appliance, and health services. Pinduoduo, similar in concept to Wish.com in the United States, said it has 300 million active buyers. Most of these buyers, however, are poor Chinese farmers, according to a July 31 article by Chinese news portal Sina. Most of the products sold on Pinduoduo are “shanzhai,” a term used to refer to knockoff products featuring purposely misspelled names of big brands. Some goods on its marketplace resemble products from firms such as Coca-Cola, Apple, and Samsung Electronics. With Pinduoduo, “shanzhai” products are even cheaper than knockoffs sold on other e-commerce platforms such as Alibaba’s Taobao, according to Sina. Additionally, poor Chinese farmers often don’t realize that their purchased products are “shanzhai”; as long as their new large-screen flat televisions can be watched, and copycats of brand-name drinks don’t cause health problems. There are 280 million farmers in China who have an average monthly income of only 3,485 yuan (about $510), as of the end of 2017, according to a report by state-run People’s Daily, citing data from the National Bureau of Statistics. That represents about 20 percent of China’s total population of about 1.38 billion. Pinduoduo is tightening its controls as regulators close in on counterfeits. On July 31, state-backed newspaper Beijing News said Pinduoduo removed listings for the television brand “Xiaomi New Product,” which is an imitation of Chinese smart-gadget maker Xiaomi Corp.
Last week, Chinese TV maker Skyworth Digital Holdings issued a statement asking Pinduoduo to stop sales of counterfeit Skyworth products on its site while fiction writer Zheng Yuanjie said on his microblog account that pirated versions of his books were being sold on Pinduoduo. Alibaba, operator of the popular Taobao platform, also recently started an anti-counterfeit campaign amid criticism from companies and consumer groups that fake products are being sold on its online marketplaces. In January, the U.S. trade representative placed Taobao on its blacklist for the second consecutive year over suspected counterfeits.